Pangnirtung hadn't seen a single tragedy like this for more than a year. 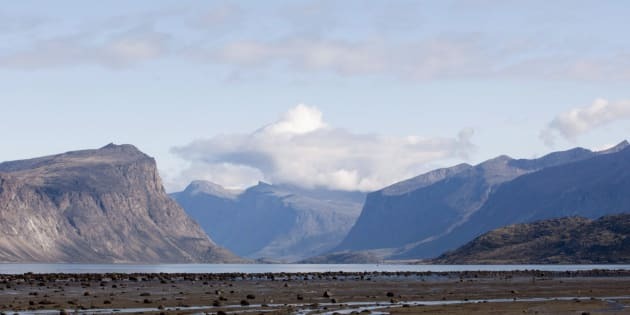 The view towards Cumberland Sound from the hamlet of Pangnirtung, Nunavut is seen on Aug. 20, 2009. PANGNIRTUNG, Nunavut — Everyone thought things in the Nunavut community of Pangnirtung were finally looking up. The hamlet, which once had one of the highest suicide rates in the territory, hadn't seen a single such tragedy in more than a year. A community group had drawn up a forward-looking, proactive plan to keep youth safe. People breathed easier. "We had 12 suicide attempts by youth over a period of about two weeks," said hamlet Coun. Markus Wilcke. "We've had a bit of a wake-up call." The picturesque hamlet of about 1,400 surrounded by mountains, glaciers and ocean took a look at itself and concluded things weren't going so well. Pangnirtung was soaked in violence, at a breaking point. Police calls had increased 50 per cent since 2016. Assaults nearly tripled. A string of arsons starting last fall destroyed a half a dozen buildings, including badly needed housing and the school bus. Last September, a 16-year-old wandered through the town in the early morning, firing a gun 11 times into the air near the school, the health centre and the post office. In March, the territory's poison control centre took 55 calls from Pangnirtung — three times as many as from any spot in Nunavut. Booze flows in what is supposed to be a dry community. Domestic violence follows. "We've reached the limits of the resilience and resources of the community," said Wilcke. "There was a reaction of, 'We've got to do something.' We felt that we were in quite a desperate situation. We don't want to go back to where we were." So last week, the hamlet council issued a life-and-death plea to the territorial government for help. "Violent events in Pang have now become a daily occurrence," says the letter. "Bootlegging is rampant and uncontrolled. "If adequate urgency response services are not provided immediately, more and more people in Pangnirtung will be physically injured, emotionally traumatized and more lives will be lost." No one knows what touched off the events in February. Pangnirtung is not without resources: a community hall and arena for organized sports, active clubs for youth, engaged elders. An adjacent national park and a fish-processing plant provide some jobs. A volunteer group had just been formed to address the hamlet's quality of life and wellness. "It's really disheartening that in the middle of this, all of this started happening," said local member of the legislature Margaret Nakashuk. She suspects current problems stem from so many years without social supports. Pangnirtung — like most Nunavut communities — has no addiction treatment programs, emergency shelters or crisis support services. Its front-line workers, from mental-health staff to RCMP, are few and overworked. "It is very difficult when we know the resources are not available for people that need counselling or support in terms of getting help with addictions," said Nakashuk. "There's nothing local in our community — or any other small community in Nunavut." Pang's letter to the territorial government asks for an emergency shelter, money for crisis counselling and victim support, quicker referrals to advanced mental-health treatment and more front-line workers. It also wants airplanes leaving for the community screened for alcohol and drugs. "We hope to find solutions that are really addressing the urgency issues," Wilcke. "A lot of that will need to be sorted out as we go along." The territorial government has said it will send representatives to the next council meeting on May 21. "We received the submission from the hamlet of Pangnirtung, and have provided it to the cabinet committee on quality of life for their review," said Premier Paul Quassa in an email. "Officials from Justice, Health, Family Services and local RCMP have also indicated that they will meet in Pangnirtung with the hamlet council to discuss their concerns." Wilcke is hopeful that Pangnirtung's will to help itself, with a little boost from the territory, could offer valuable lessons for other Nunavut communities. "Hopefully, they will find we could pilot a project that would be useful for other communities. We are definitely not unique."